Skilled craftsmen restore church bells and bell instruments from American and European foundries. Whether cast of bronze or iron alloys, every bell is a treasure worth keeping. We are experts at restoring Bells cast by Meneely, VanDuszen, Stuckstede, Fulton, Blake, Hooper, Revere, McShane, Gillett & Johnston, Taylor, Paccard, Petit & Fritzen, Eijsbouts and many others. These foundries produced thousands of quality bells that have fallen into disrepair. 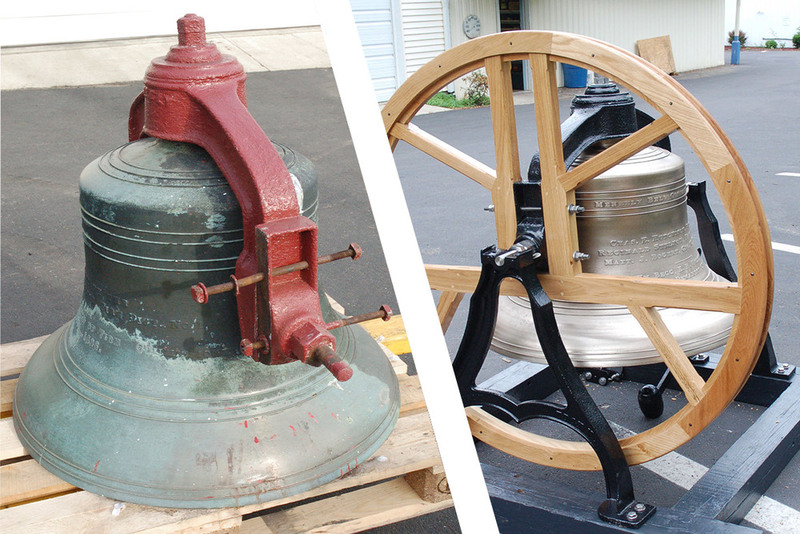 From a complete rebuild using modern materials to a historical restoration with custom cast iron hardware, our restoration team can make an old bell new again. In addition to our turn-key restorations we offer a complete line of repair parts and automation equipment for those who wish to repair their bell themselves. 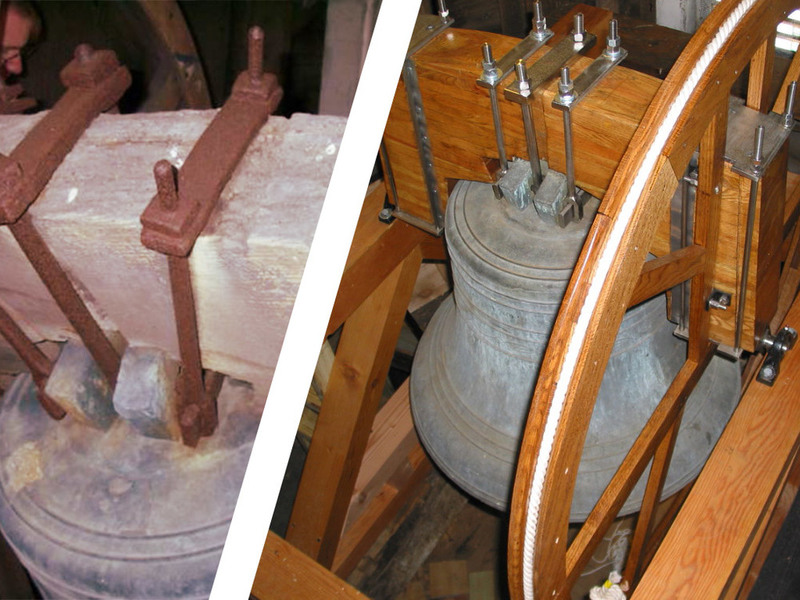 We had three used bells donated to our church and Chime Master did a very good job of fitting them with new yokes, clappers, tolling hammer and electronic controls to allow them to ring again in our new spire. Historically Accurate Cast Iron Yokes and A-stands.